Jamaica Blood Orange is rated 3.2 out of 5 by 6. When you’re ready to get the Jamaica Blood Orange pumping, there’s no better way than this flavor trainer that turns the intensity up to 11. 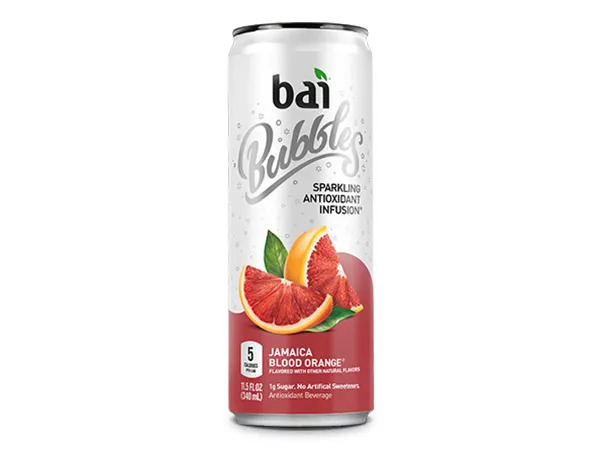 Everything in this can says, “Yes you can!” because each sip is like have a sparkling motivational speaker in your mouth. And with just 5 calories, 1g of sugar, and no artificial sweeteners, this tropical taste will also knock your mouthsocks off.We named our flavors after the coffee growing regions that inspired them, sort of like French Kissing or Bermuda Shorts. Learn about these regions and more here. Send your mouth on an island vacation without having your passport renewed. 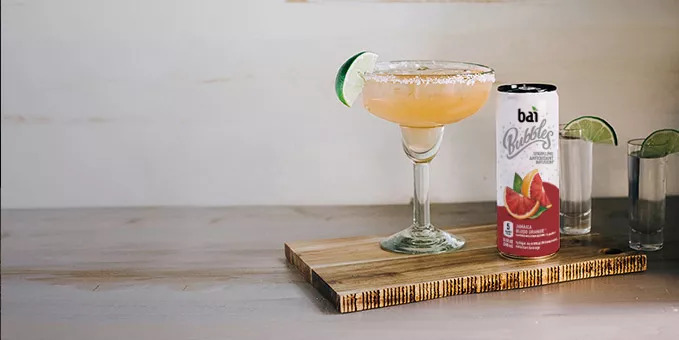 Don’t worry we won’t tell the TSA about the blender in your bag for mid-flight margaritas. So prepare your taste buds for takeoff and head to the islands, without having to deal with airport security. Pour 1/4 inch of salt in a shallow plate. Moisten the rim of a margarita glass with a lime wedge, and dip it into the salt. Fill the glass with ice, and set aside. Pour the tequila, triple sec, and lime juice into a cocktail shaker over ice. Cover, and shake vigorously until the outside of the shaker has frosted. Strain into the prepared glasses, pour Jamaica Blood Orange and stir. Garnish with lime wedges to serve. 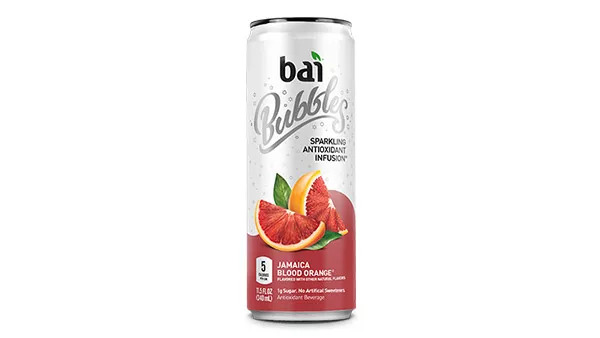 Filtered carbonated water, Bai® Proprietary Sweetener Blend™ (erythritol, stevia extract), natural flavors, citric acid, orange juice concentrate, coffeefruit extract, vegetable juice and beta carotene (for color), white tea extract, malic acid, ascorbic acid, sodium citrate. Rated 5 out of 5 by TOMEKA from JAMAICA BLOOD ORANGE OK OMG...THIS DRINK IS SO GOOD AND THE BOLIVIA BLACK CHERRY. MY FIRST TIME EVER DRINKING THIS SPARKLING WATER. I ABSOLUTELY LOVE IT. I'M DOING KETO AND HAD BEEN TRYING TO FIND OTHER THINGS I CAN DRINK AND SAW THAT THIS HAD NO ADDED SUGAR AND WHAT WAS IN IT. I WAS HAPPY. I HAD BEEN LOOKING FOR SOMETHING BUBBLY I CAN DRINK. Rated 5 out of 5 by Sammerjammers from New fav drink! Love it so much! It taste so much better than other sparkling waters! Rated 5 out of 5 by Trinette from Blood Orange Bubbles I have always liked blood oranges but the Jamaica Blood Orange is amazing. I would say close to addictive. I love the taste and look for them every where. And they are healthy and have no sugar, which is always a plus. Rated 2 out of 5 by adult555 from Questionable taste I bought this at work today from the vending machine, and it tastes like airborne!! If you don't know what that is, it is an immune booster just like 'Emergen-C'. There is also a slight puke taste in it that made me feel nauseous. To top things off, I found a whole sheet of lined paper in my drink!!!! DO NOT BUY. Lastly, the product says 1% juice! Doesn't make any sense! Rated 1 out of 5 by wheelerl from bad smell Sorry folks, but the smell reminds of cat that has did number 1 - not pleasing at all. Taste is OK. The cherry and Pineapple are better. Rated 1 out of 5 by NONE from Terrible- flovared sugar water This is basically flavored sugar water - this should never be for sale.